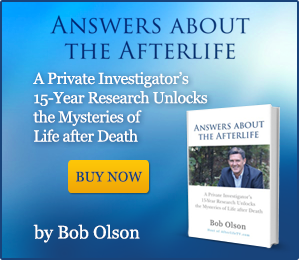 Afterlife TV is presented by Afterlife Investigator & Psychic Medium Researcher Bob Olson, who is the author of Answers about the Afterlife: A Private Investigator’s 15-Year Research Unlocks the Mysteries of Life after Death. 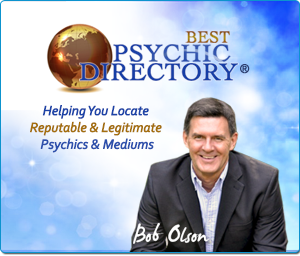 Check out Bob Olson’s other sites: BestPsychicDirectory.com (a directory of hundreds of psychics & mediums by location with reviews & Instant Readings) & BestPsychicMediums.com (his personal recommended list of tested psychics and mediums) or visit Bob’s Facebook Page. 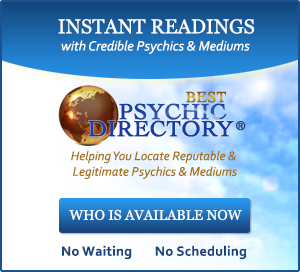 Bob also has a popular workshop for psychics and mediums at PsychicMediumWorkshop.com. Don’t miss another Afterlife TV episode. Join our email list to get new video announcements (and to download a free excerpt of Bob’s book): CLICK HERE TO SIGN UP FOR NEWSLETTER. you say that there are no curses,and that we control our fate by our choices.how did i choose things that happened as a child and my life has alway been a trial…. I’ll being doing more interviews in the future that I hope will answer your question with even greater depth. Thanks for asking a great question! I having been watching your videos and I think they are very good. 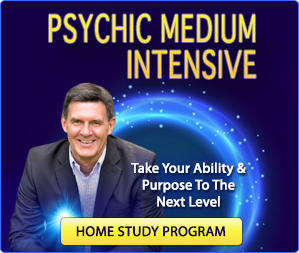 I follow a two mediums on Facebook that seem to give the people very accurate readings. One of the mediums invited other potential mediums that were in the group to give readings to people as well. There was a guy that started giving readings to people, but his readings were wrong on every little thing.. maybe just the ” Someone passed in your family with cancer ? Does that relate ? ” The owner of the group banned him because he started being nasty when people called him a fake. So next thing he creates his own group, bitching about the other medium and stealing her members. I clicked her profile and all her pictures and posts were showing to the public. Everything he said to her was taken from her profile.. Deaths / Dates / Ages / Family members / Objects… everything..!! Not just once he did this, he did it a few times. I confronted him about it and got blocked within 2 seconds. I can’t believe how anyone can be so evil, playing on people’s grief like that. Sorry for my rant, but I really did enjoy ” trying ” to expose him. I’ve heard stories similar to this one. It truly is a sad statement about people, not necessarily mediums. We can find similar things going on in many professions with equal responsibility. But I always trust that these people will be exposed, hopefully sooner than later. I contacted a coach-er after being listening to his podcast where he sounds very compelling. Not long after we started our first time call, he suggested that maybe put a curse on me and that he can remove that. I said that I have to think about it and he tried push (“successful people take decision fast” he said…). I did some research on him over the internet and the results were awful!!!! Thank you for this comment on AfterlifeTV.com and the email you sent me. I’m happy to hear that my video on this subject helped you from being scammed by this person. And good for you for being so aware and recognizing it before it was too late. 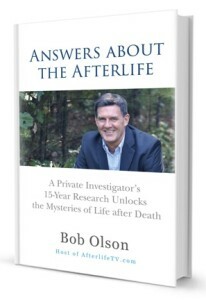 Bob Olson is the host of Afterlife TV and the author of Answers About The Afterlife. Afterlife TV is the most recent of Bob's resources to guide and educate you about life after death. 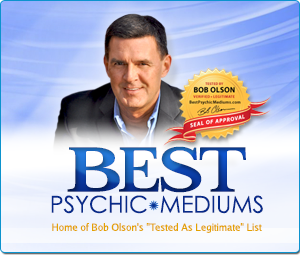 Here you'll see episodes where Bob interviews authors, experts & practitioners (Interviews), episodes of Bob sharing what he's learned from his investigations (Reports), and episodes of Bob interviewing people about their extraordinary afterlife-related experiences. What Happens In The Afterlife To People Who Commit Suicide? Spirit vs Soul: Revealing the Difference!